The town of Mungia was founded in 1376 by Royal Charteer and still today preserves its important medieval legacies which deserve a visit, as well as its important examples of civic architecture. The rural neighbourhood of this township includes a rich heritage of monuments, historical rural farmsteads, churches, chapels and mills. 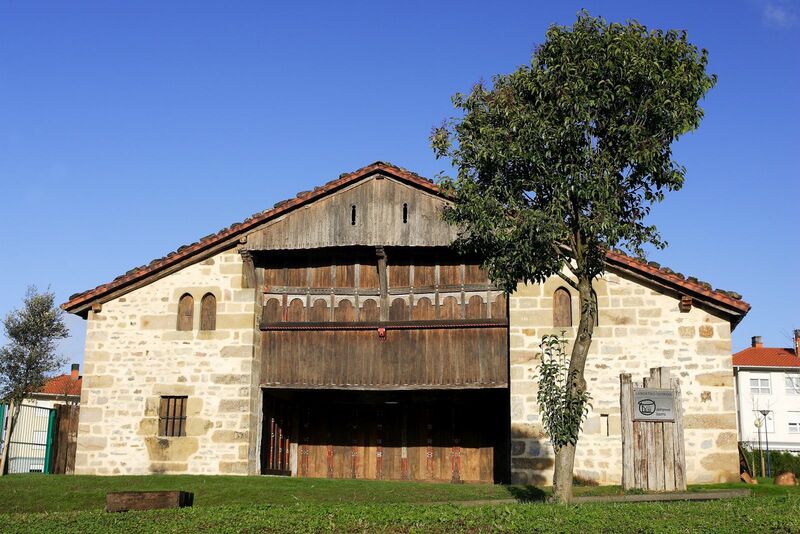 The jewel in the heritage of Mungia is the Landetxo Goikoa farmstead, built at the start of the 16th century and considered one of the most ancient country homes in the Basque Country. You must visit this house which has been declared a Culturally Relevant Monument, and nowadays opens its doors to the public in the guise of Basque Mythology Interpretation Centre (www.izenaduba.com). Alongside these architectural sights, the agricultural traditions of the region are still working hard, offering high quality produce and busy with the frequent agricultural and livestock markets held in Mungia throughout the year. You must visit one of these festive markets to get a taste of our lands, but don't forget that our local producers sell their wares at weekly markets, every Friday of the year.